Category: Blankets and Throws. Tags: Gifts for her, handira blanket, handira wedding blanket, M, Moroccan wedding blanket, Morocco, one of a kind, traditional handicraft, vintage, vintage handira, wedding blanket, Wedding gifts. A traditional Moroccan handira blanket which was hand woven by female relatives of a bride for her wedding day. Scroll over the images to see the blanket in more detail. 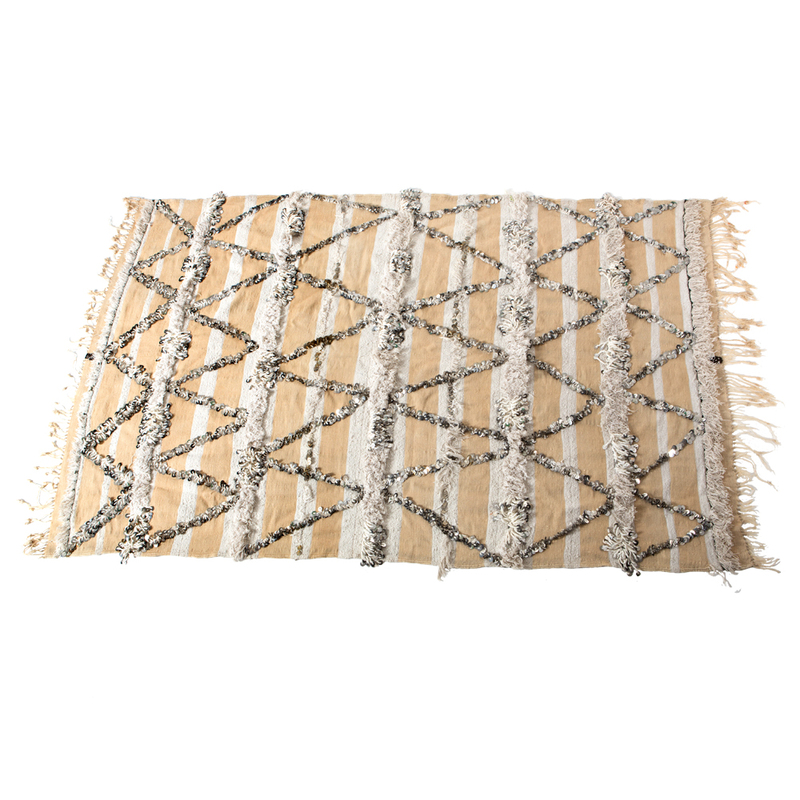 This handira wedding blanket is hand-woven in a neutral palette of cream and beige stripes in a wool and cotton mix. 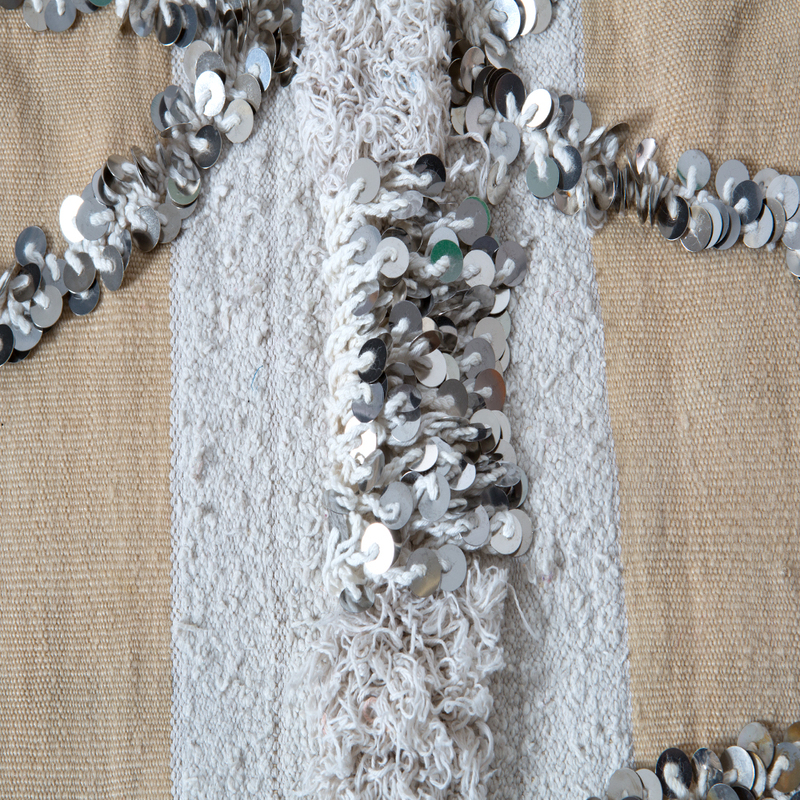 Lines of sparkling sequins adorn the blanket in a geometric pattern interspersed with lines of fringing and clusters of sequins. It will add a touch of glamour, texture and sparkle to a room. This glamourous blanket works well on the foot of the bed or on a sofa. Team it with some of our handira cushions for a boho look. Please note this is a vintage piece so there may be imperfections but we think this adds to its charm.